Often hailed as one of the most beautiful resort towns on earth, Queenstown, New Zealand has been a tourist hot spot for years. There’s a good reason for this too, as both its natural beauty and rich cultural heritage make it the place to be for sightseers and soul-searchers alike. After you land and rent a campervan, you’re ready to go, so here are some of the best things to see in Queenstown once you’re there. This mountain range is indeed remarkable. On the southeastern shores of Lake Wakatipu and framed by New Zealand’s clear blue sky, these mountain ranges ascend magnificently high in the air and are mirrored below beautifully in the reflection of the lake. The Remarkables mountain range creates the perfect backdrop for hiking and fishing, and not only that, but skiing and snowboarding enthusiasts have been known to make great use of it as well. In the center of town is the Queenstown Gardens, one of the most picturesque and well-kempt botanical gardens in the world. Offering a place of peace and tranquility, the Queenstown Gardens are a great place to go for a stroll after dinner, to have lunch with the family, or to relax with some friends. Within the Wakatipu basin is the very scenic Lake Hayes. While the lake itself makes for some good kayaking and swimming, outlining its perimeter are trails for biking, hiking and running. There are also large stretches of grass nearby which can be used for sports or picnics. Few towns are nearly as quaint as the historical mining hamlet of Arrowtown. Only twenty minutes from Queenstown, this settlement is well worth the visit for its aesthetic value alone. Lined with buildings still standing since the 1800s, and with the modern comforts of cafes, bakeries, restaurants, hotels and bars, Arrowtown is truly a culture buffs dream. Another thing it has going for it are its stunning autumns. Steep hills dotted with thousands of trees slope up around its sides, and in the fall the very sky seems to burst with lavish yellows and oranges and reds, making a walk down one of its quiet streets an utterly sublime experience. Passing up on seeing the beautiful Queenstown, New Zealand is not an option for travelers looking for the most magnificent places. 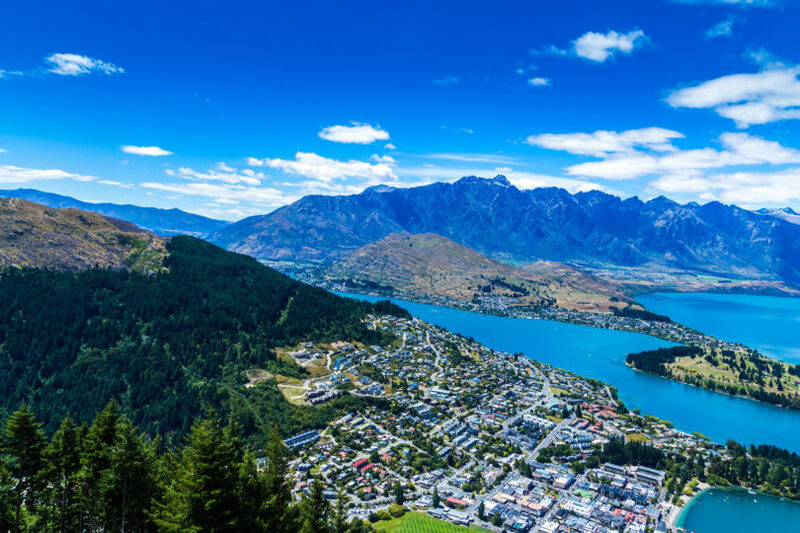 From its lakes and mountains, to its activities, to its history, Queenstown is one of the best destinations anywhere in the world.